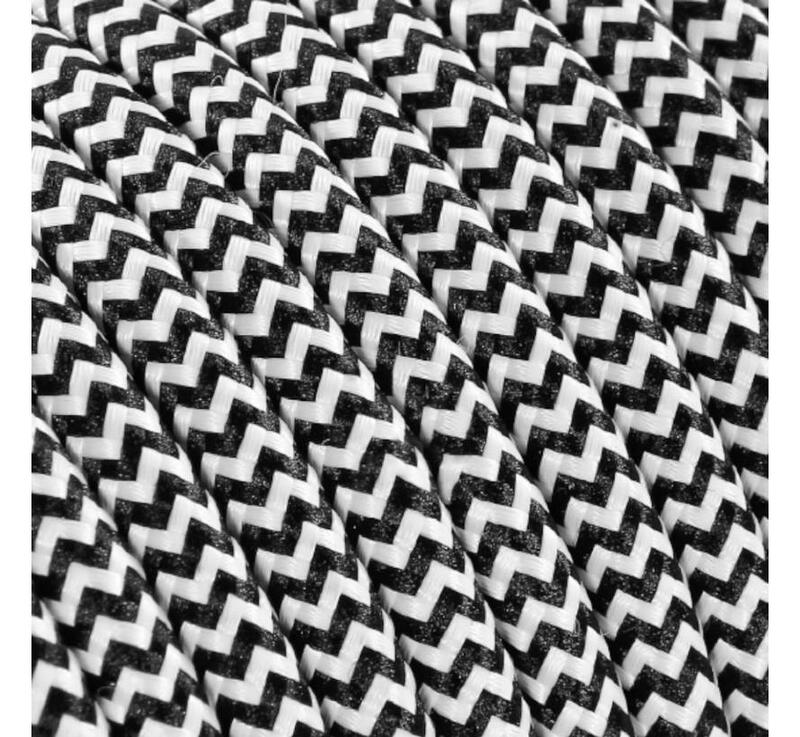 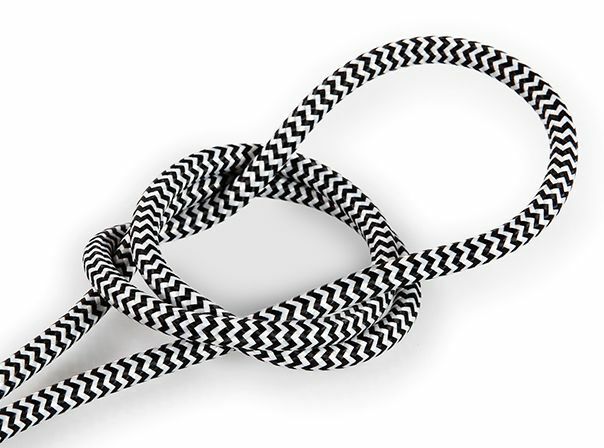 This high quality fabric cord is wrapped in white and black zig zag woven fabric. 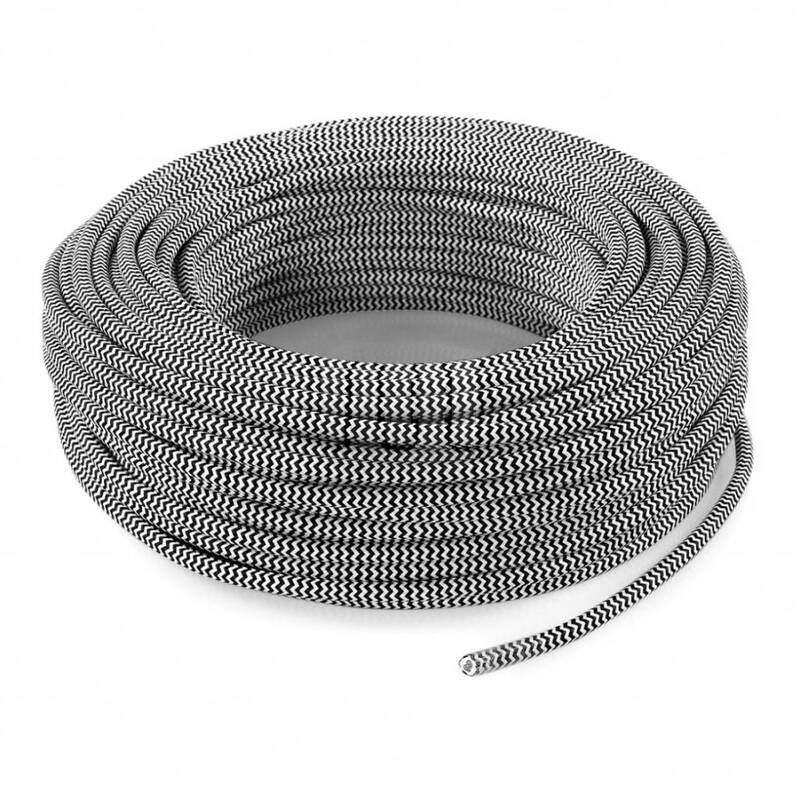 This product is available in a 2-pole (ungrounded) or 3-pole (grounded) cord. 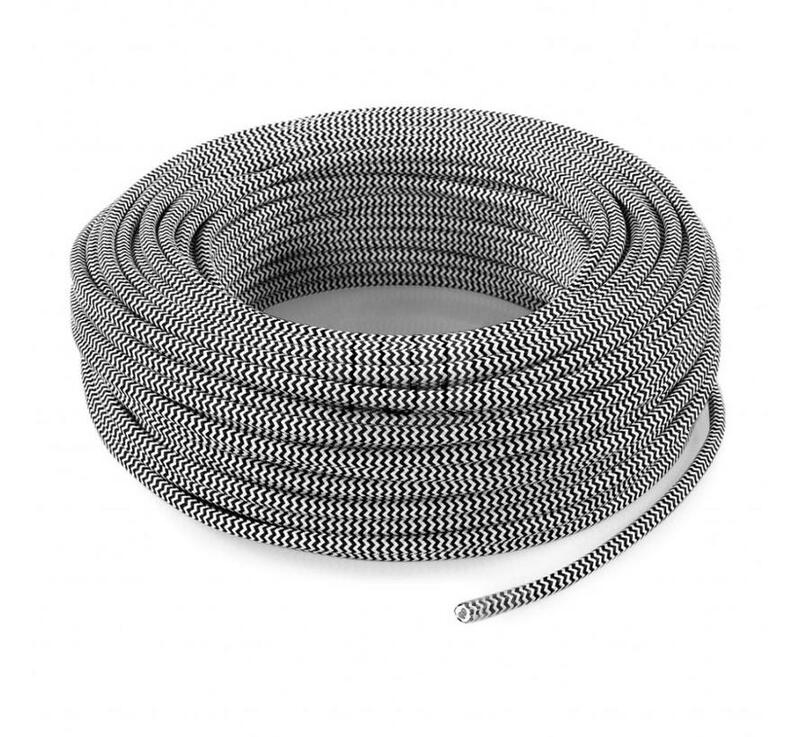 Attention: the available amount of this cord isn't available in one piece. 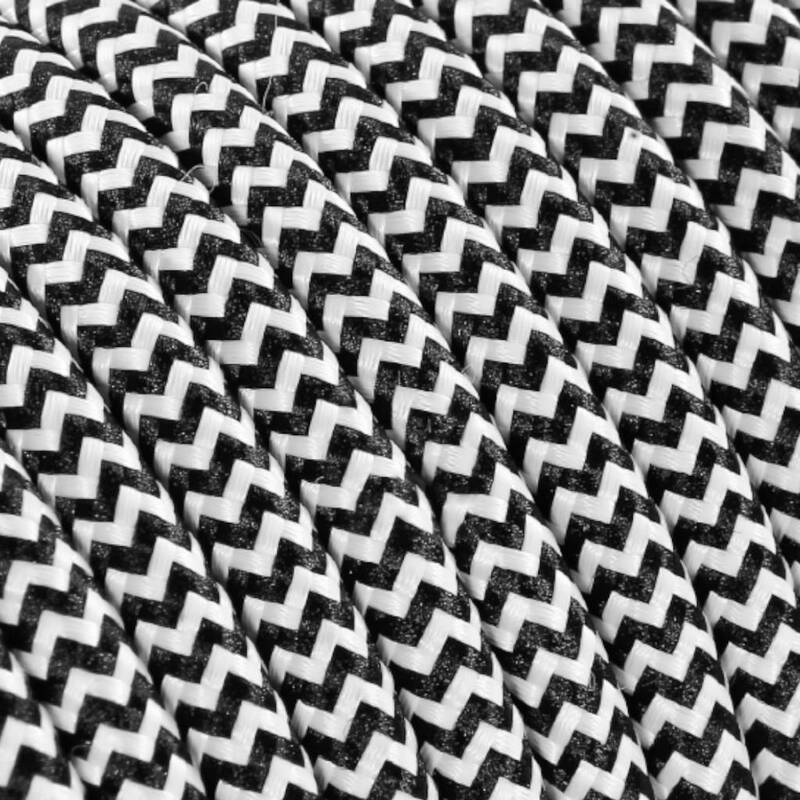 Due to high demand the cord currently has limited availability. 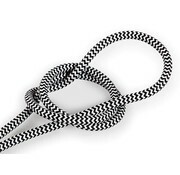 New stock will arrive soon.